ccRF2 click carries CC1120, the fully integrated, high-performance single-chip radio transceiver with extremely low power consumption. 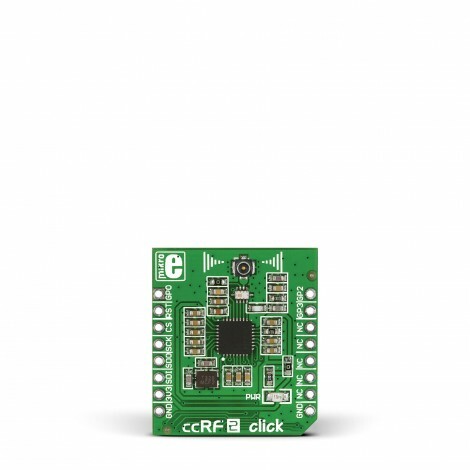 ccRF2 click carries CC1120, the fully integrated, high-performance single-chip radio transceiver with extremely low power consumption. 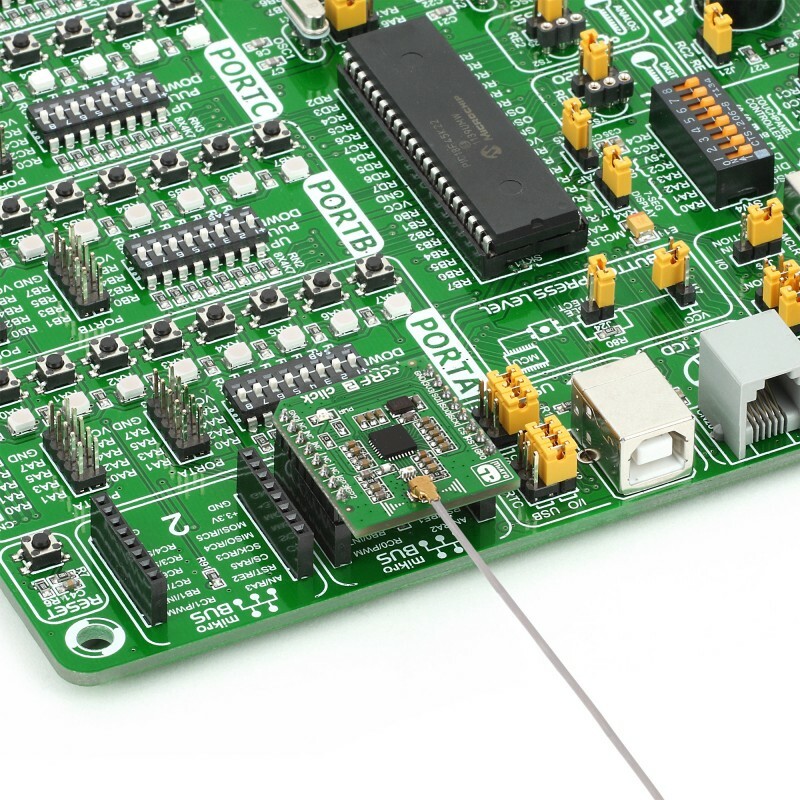 Designed mainly for the ISM (Industrial, Scientific, and Medical) and SRD (Short Range Device) frequency bands at 820–960 MHz, CC1120 provides extensive hardware support for packet handling, data buffering, burst transmissions, clear channel assessment, link quality indication, and Wake-On-Radio. It also has exceptional receiver sensibility. ccRF2 click communicates with the target board through mikroBUS SPI (MISO, MOSI, CSK), and AN, RST, CS, PWM and INT lines. 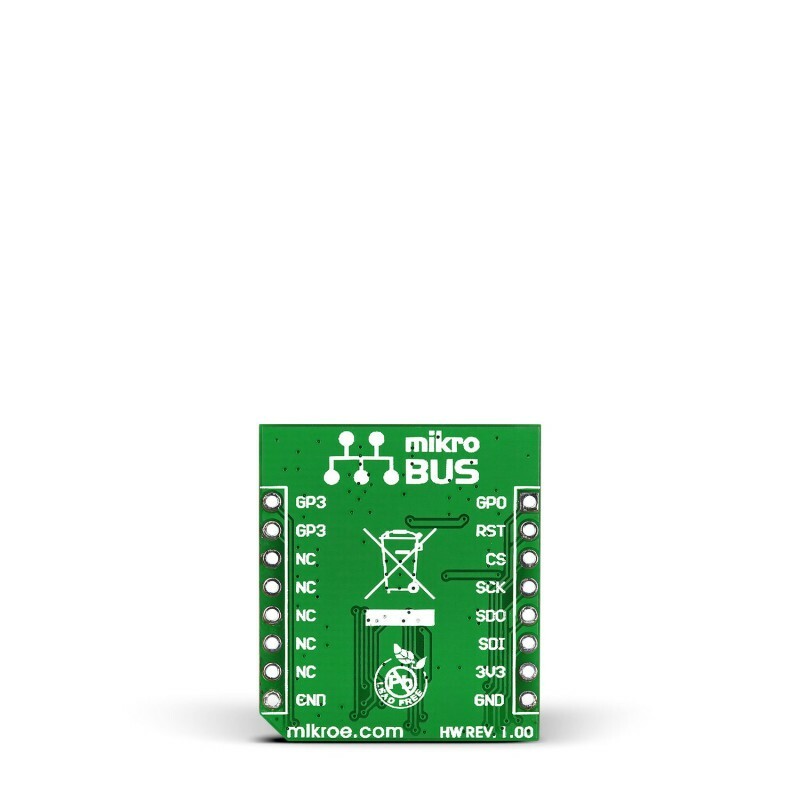 The board is designed to use a 3.3V power supply.